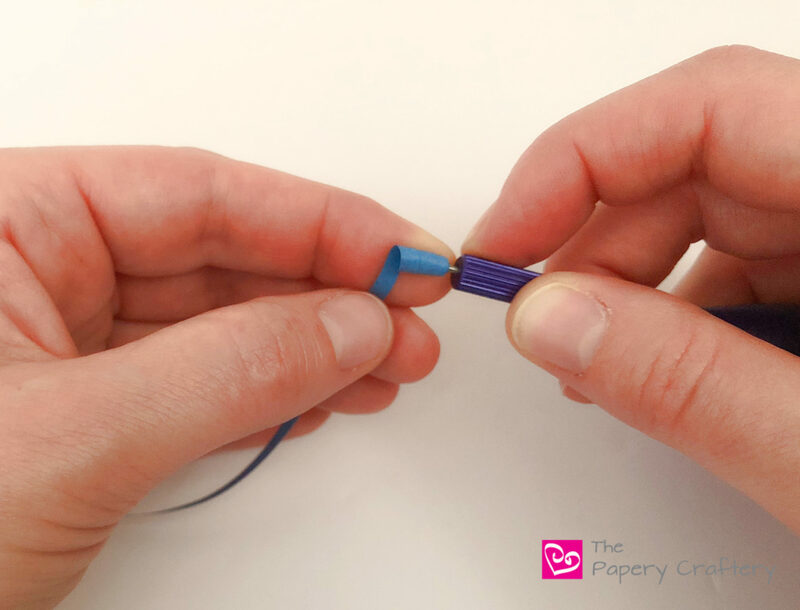 Time to do one of my favorite types of posts and test out new quilling supplies! This week, its a slotted tool with a twist (excuse the pun!). 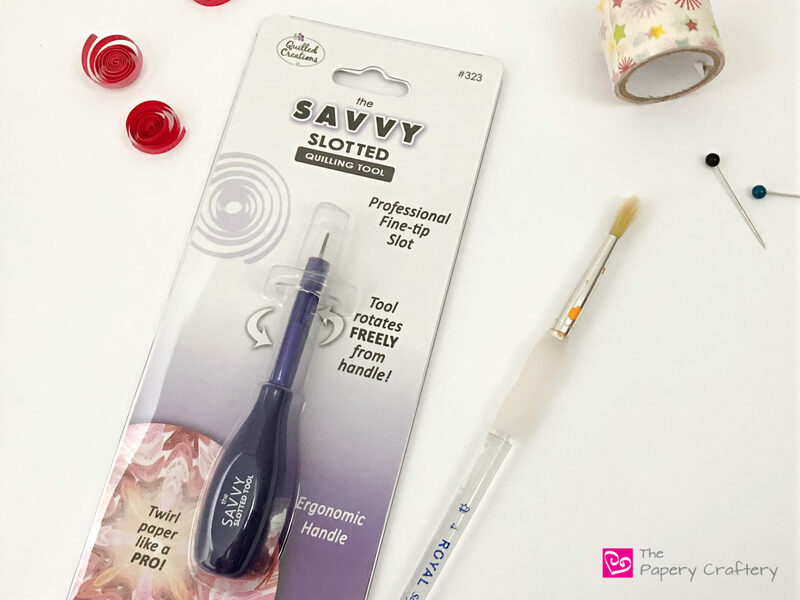 Today I’m sharing with you all a Savvy Slotted Quilling Tool review. The Savvy Slotted Quilling Tool is one of the many tools made by Quilled Creations. 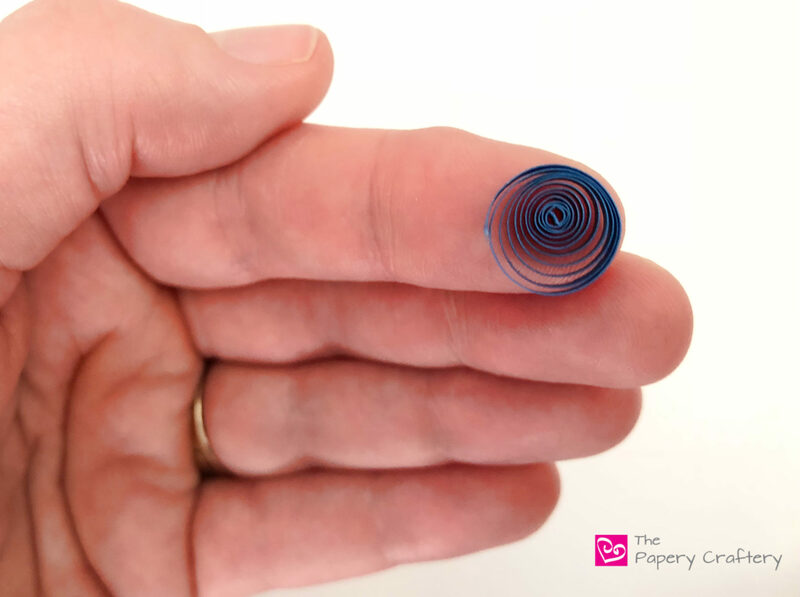 Quilled Creations is well known for their huge selection of quilling paper and they also make one of my favorite tools, their super-thin and perfectly-pointy quilling tweezers. As for the Savvy tool, they boast of its comfortability while quilling, since the handle is wider and fits better in most hands. 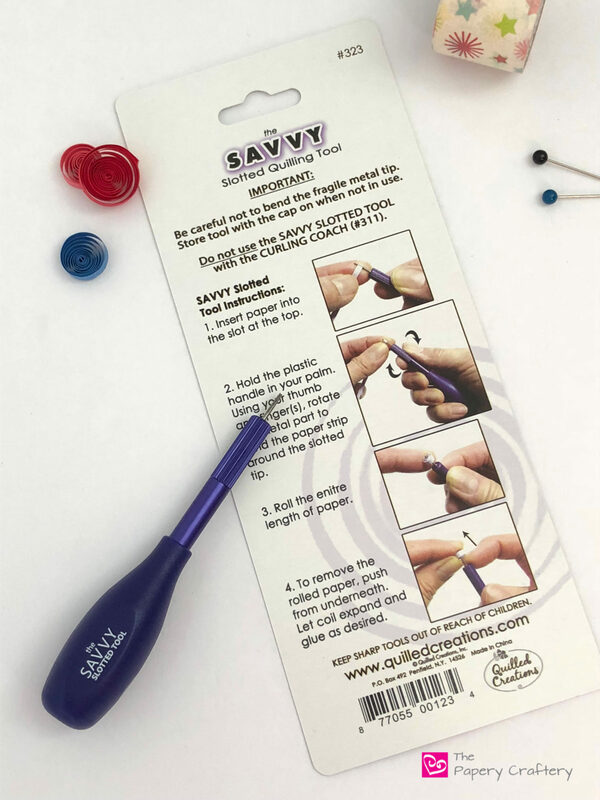 As the instructions on the back of the package state, the Savvy tool works like most slotted quilling tools. But, the end turns independently of the rest of the handle. This also helps provide a more pleasant feeling for your aching wrists. 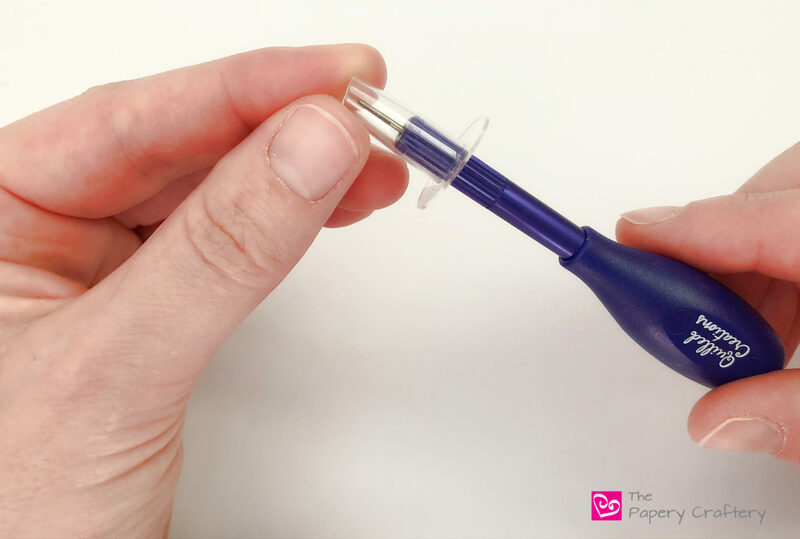 The working end of the Savvy Slotted Quilling Tool is covered by a clear plastic lid to protect the metal tip. I did notice when I removed the cap to my tool that the slot was extremely narrow. So much so, I had trouble sliding my quilling paper into it and I had to use a thin blade to open it a bit. I do like how long the metal tip is on this tool. You would definitely be able to roll a strip up to 1/4″ wide. 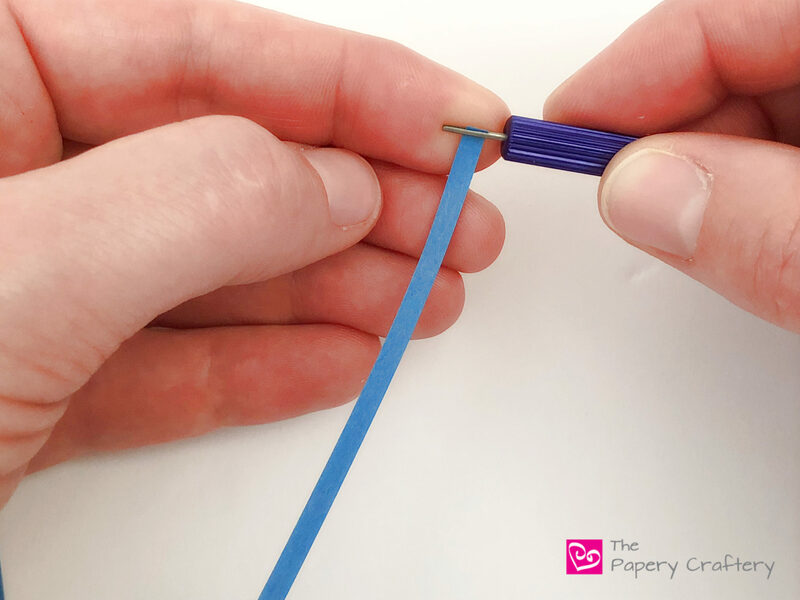 Like a standard slotted quilling tool, the strip stays firmly in place as you start rolling. Then, all you need to move is two fingers as you twist the end of the tool and roll your paper. I did like that it’s very easy to control the speed that you want to roll and the paper strip does stay very straight. I’ve found that with some slotted tools, the paper starts to go slanted as it coils. But with the Savvy Slotted tool, I didn’t need to keep readjusting my paper. Long tubes are easy with this tool, too! For a recap on this technique, check out this post on how to make a quilled monarch butterfly. The tool did make quick work of a coil. The center does have the signature bend that you’ll get when using a slotted tool, but I think its slightly more narrow since the tip is so tight. All in all, I’d say that the Savvy Slotted Quilling Tool is really helpful! I’ve been using it pretty often since I first picked it up. The learning curve for the new way to spin the tool is pretty easy to work through. As quillers who have been crafting for a long time can tell you, it can be tough on one’s hands. The Savvy Slotted Quilling tool is meant to provide some relief and I can see how it would. The wider handle and spinning end make rolling coils a breeze. 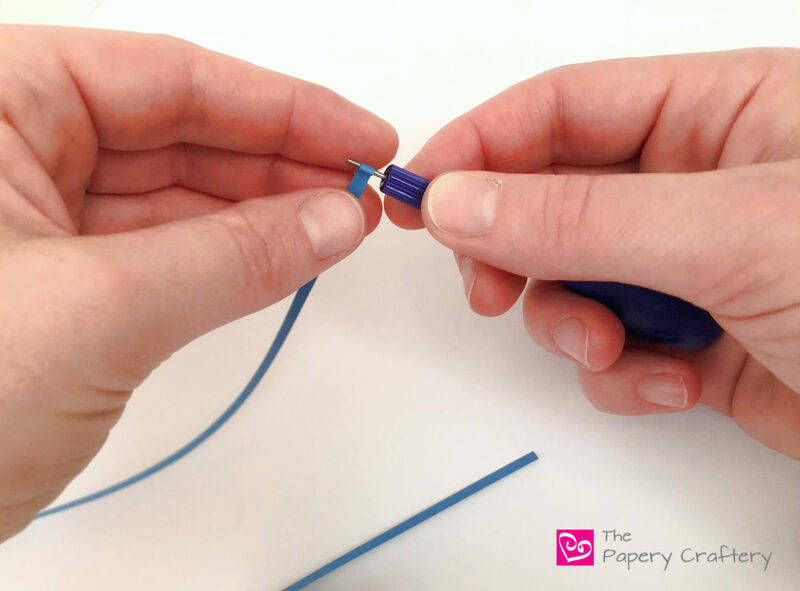 If you’re a quiller who has been experiencing some wrist pain or you’re having a bit of trouble gripping a thinner tool, this one is worth a try. 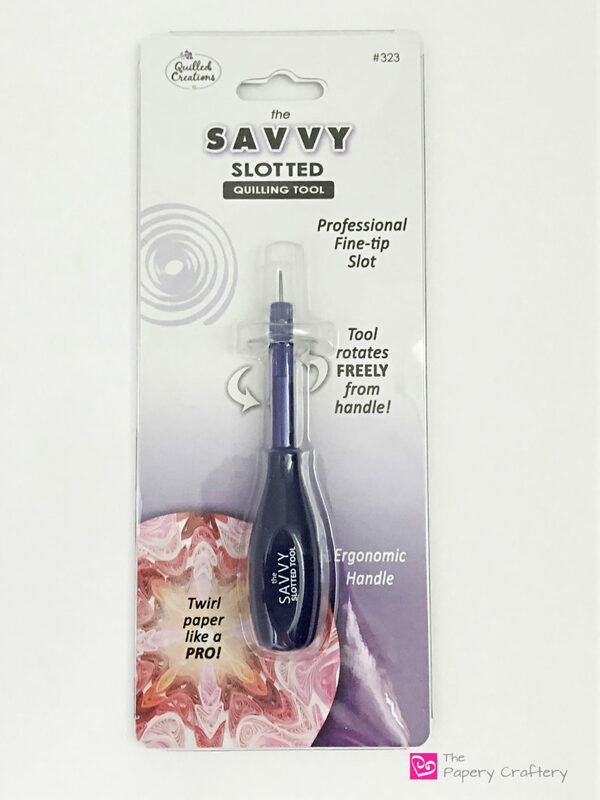 You can find the Savvy Slotted Quilling Tool in the Quilled Creations website or Amazon, if you prefer. I’d love to hear if anyone has had any experience with this tool. Leave a comment below if you’ve used it or if you think you’d find it helpful to you! 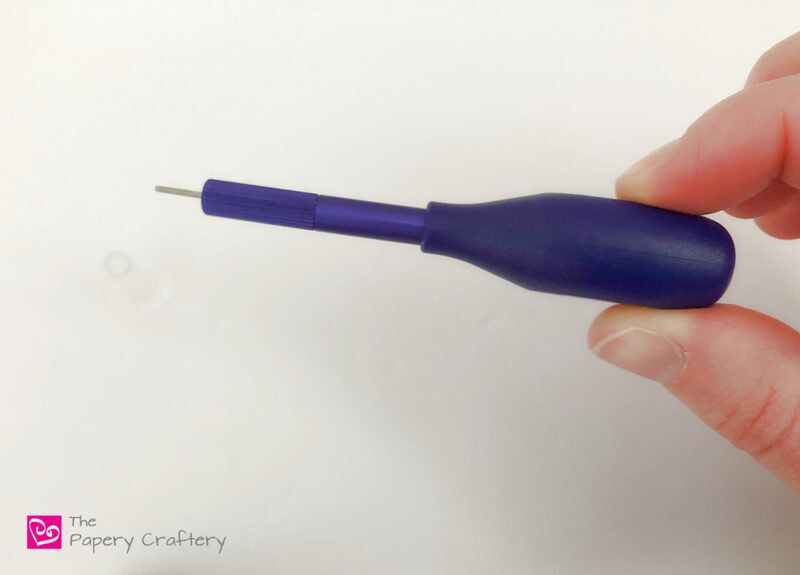 This Savvy Slotted Quilling Tool Review includes only my experience and findings of this tool. I was offered no compensation by the company and all opinions are my own. Yay! I love hearing other reviews!! Thanks so much for sharing!